The overall theme for this year’s NECTA convention focuses on “celebrating 50 years together” –the theme of ‘together’ showcases that our work is reaching ever-growing and diverse partnerships, celebrating past successes, and continuing to work together. 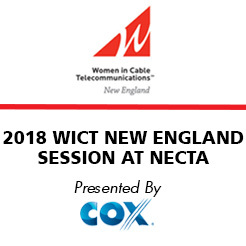 Maria E. Brennan, CAE, President & CEO of WICT, will be the keynote speaker during the WICT New England session where she will elaborate on the benefits of WICT, both at a chapter and global level. Brennan will participate in a panel discussion with Gail MacKinnon (EVP, Government Affairs, Motion Picture Association of America, Inc. – MPAA), and Tracy Pitcher (SVP, Greater Boston Region – Comcast), along with moderator Greg Hickman (SVP, Technology & Digital Communications – WICT). 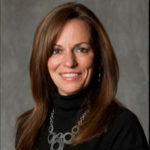 Maria E. Brennan is the President & CEO of Women in Cable Telecommunications (WICT), a 10,000 member global nonprofit,7u celebrating over 35 years of serving women in the cable industry. During her time at WICT, Brennan has worked collaboratively with its leaders and stakeholders to steer the organization’s strategic vision, resulting in record levels of membership, sponsor support and program participation. Prior to joining WICT, Brennan served for nine years as the President of American Women in Radio and Television (AWRT) and has worked with numerous diversity-based nonprofits. She has more than 23 years of executive management experience. In addition, she has been named among Cablefax’s list of Most Powerful Women in Cable annually since 2010. This event is open to all WICT members at no charge during the NECTA conference without having to purchase a NECTA pass. regardless if they are a WICT member.